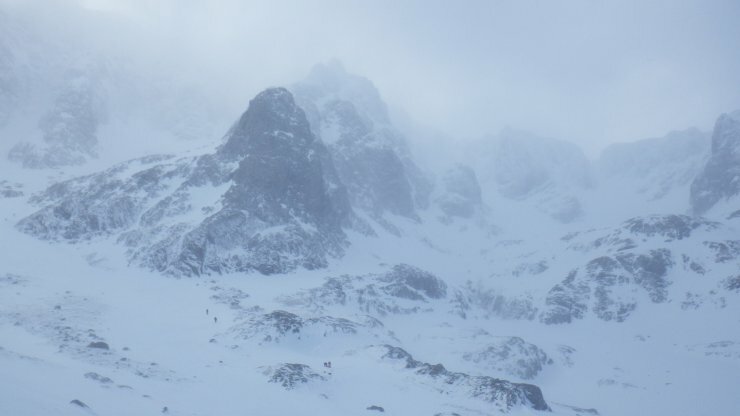 Over a season of avalanche forecasting there is always some good days, some bad days, some dry days, some not so dry days (particularly here on the West coast). Today was dry with some sunshine (good) but very windy (not so good). 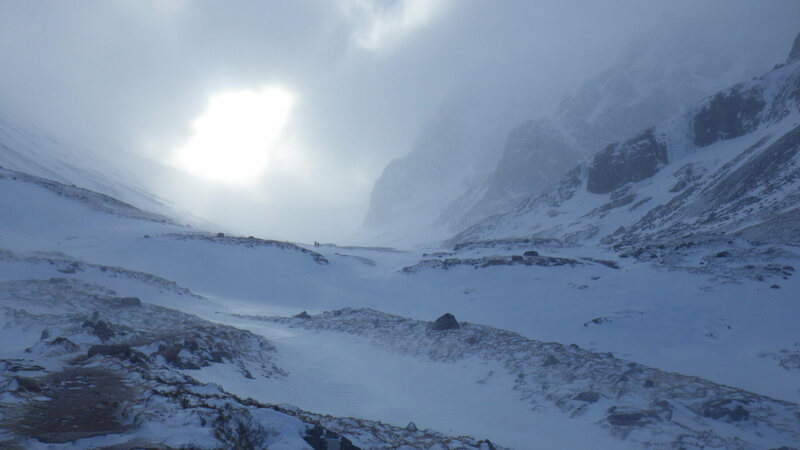 Walking to the CIC hut I felt like I was wallowing through treacle, hunched forward against the wind, every step taking for more energy than I felt it should. How much more energy I pondered does it take to get to the hut than on a calm day with the same underfoot conditions. It did make the return journey back down the Allt a Mhullin pretty rapid. The strong winds have removed much of the windslab, there was noticeably less than there was yesterday. However, I there is still a few patches lurking here and there in sheltered locations. 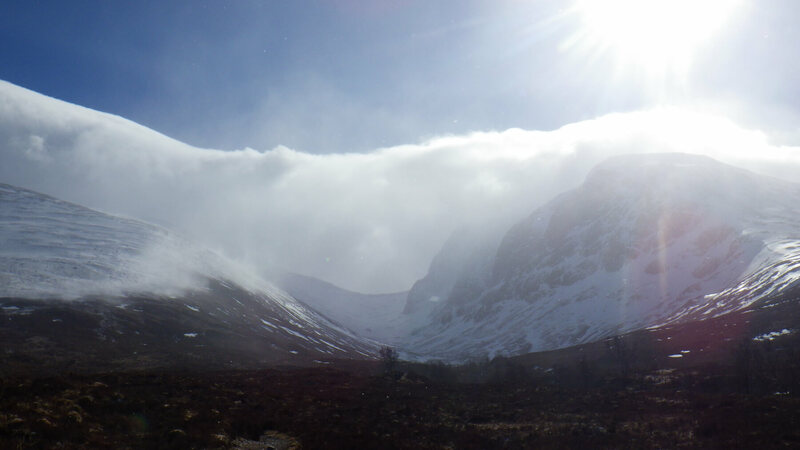 Ominous clouds over Ben Nevis and Carn Mor Dearg. Nice and sunny elsewhere. Plumes of snow can be seen being blown off the side of Carn Mor Dearg. The view on the approach to the CIC hut. At times it would have been very pleasant if it were not for the winds. 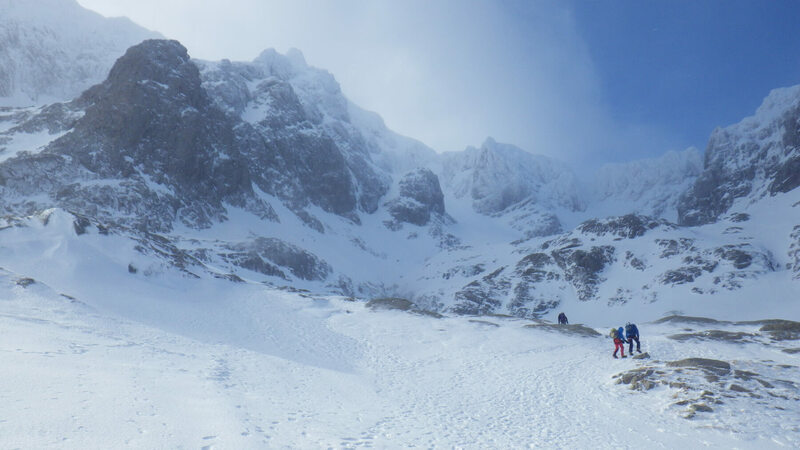 A team heading up beyond the hut. 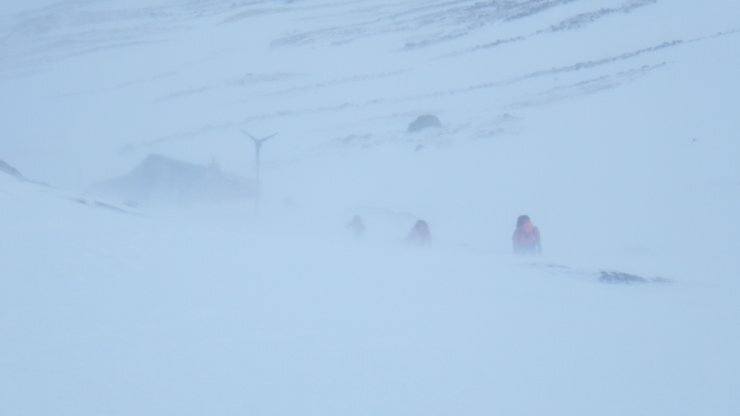 At times there seemed to be a fair bit of snow blowing around. Little of it settled anywhere, it just disappeared back into the atmosphere. 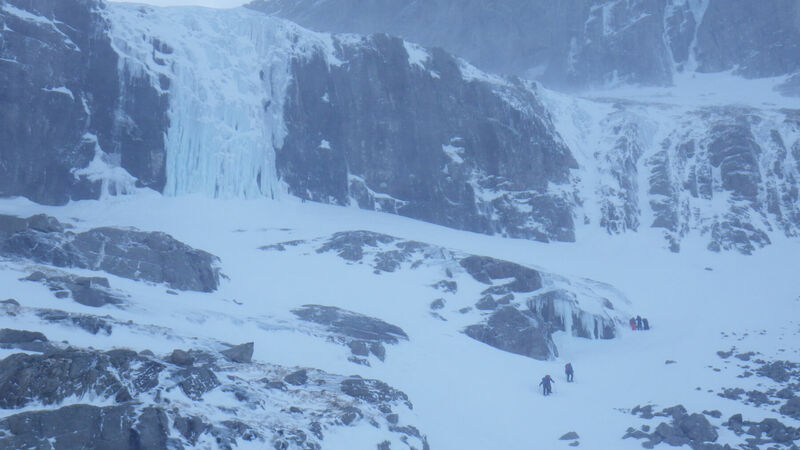 There were a few teams heading up to the CIC hut cascades which looked to be well formed. A couple of climbers can be seen on the left hand cascade.